In my most recent project, I compiled a lot of prior research I had done on a brick wall problem about my third great grandmother, Lucinda Keaton. I have been trying to find her parents. After analyzing all my evidence, I realized that I had enough indirect evidence to hypothesize that her father was William Keaton. It’s amazing how entering information into a spreadsheet and analyzing facts can propel you to the next step! I had saved tons of screen shots to Evernote without actually reviewing them and fully discovering them. Typing them out into a timeline and deciding on the reliability of each fact helped me draw conclusions and develop a research plan to test my hypothesis. One piece of evidence helped in particular: a land deed from Lucinda’s husband, George Welch and William Keeton, to Whitefield Anthony. The fact that Lucinda’s husband owned land with someone named William Keeton was a huge clue that they were related somehow. That’s when I decided to go forward with the project to prove that William Keaton was the father of Lucinda Keaton. After starting to put all of the info I found for Lucinda’s possible father, William Keaton, into Lucinda’s timeline, I realized that I needed to create a separate timeline for William, then compare. Creating a timeline for William Keaton was eye-opening. I had never organized what I found about him very well, since I didn’t have proof that hew as my relative. But as I did, I learned a lot. This is when I began to realize that William Keaton most likely died before the 1830 census, since an older woman was living with Lucinda and George that census year. William Keaton was on the 1790-1820 censuses in Pendleton District, but was not in 1830. It appeared that a son named Archibald Keaton was there instead, living next to George Welch and Lucinda. The negative evidence that William Keaton did not appear on the 1830 census, gave me the idea that he died. Then the clue that another William Keeton (I assumed it was his son, although it didn’t say Jr.) deeded land with George Welch in 1833 helped me see that there must have been land that was divided at William Keaton Sr.’s death. My hypothesis turned out to be right and I discovered proof in William’s estate file that he was the father of Lucinda. Read more about this here: Solving a Brick Wall with the Research Like a Pro Method. After entering the birth information I had about Lucinda, I realized that I had two birthplaces, one from the 1850 and one from the 1870 census, South Carolina and Missouri. When analyzing the 1870 census, I realized that a lot of the data for Lucinda was slightly off. 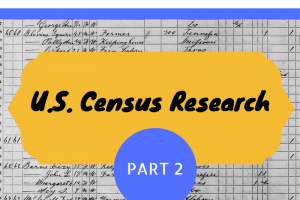 I decided that the informant for this census was likely not Lucinda, even though she was the head of household. Analyzing the source, information, and evidence in your timeline can help pinpoint which piece of conflicting evidence to believe. I tried color coding the events to see if I liked that. I think I prefer the clean look of white for all the cells, but the color coding does help to see visually which type of event is where. At the bottom of Lucinda’s spreadsheet, I created a key for what the colors mean. Yellow was information about Lucinda’s birth, green was information about the birth of her children, purple was information about residence, etc. 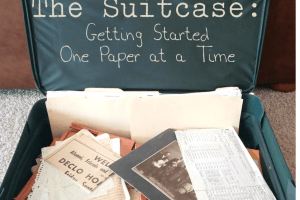 I’m sharing my evidence analysis and timeline spreadsheet that I used for the Lucinda Keaton project with you today. It has two sheets (change sheets at the bottom of the spreadsheet). The first sheet is a template that you can use for your own project. 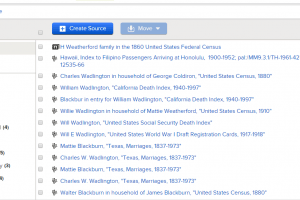 Hover over the top sections for Source, Information, and Evidence, to see the definitions of each type. The second sheet is a sample of how I used the spreadsheet for my project about Lucinda Keaton. If you want to view the template in Google Sheets, click below to view the spreadsheet and then copy it to your own Google drive by clicking file, “make a copy,” and then select the location you want to save it to in your google drive. If you would like to download the Excel version of the spreadsheet, click below. How do you organize your evidence when you’re beginning a research project? Give it a try! 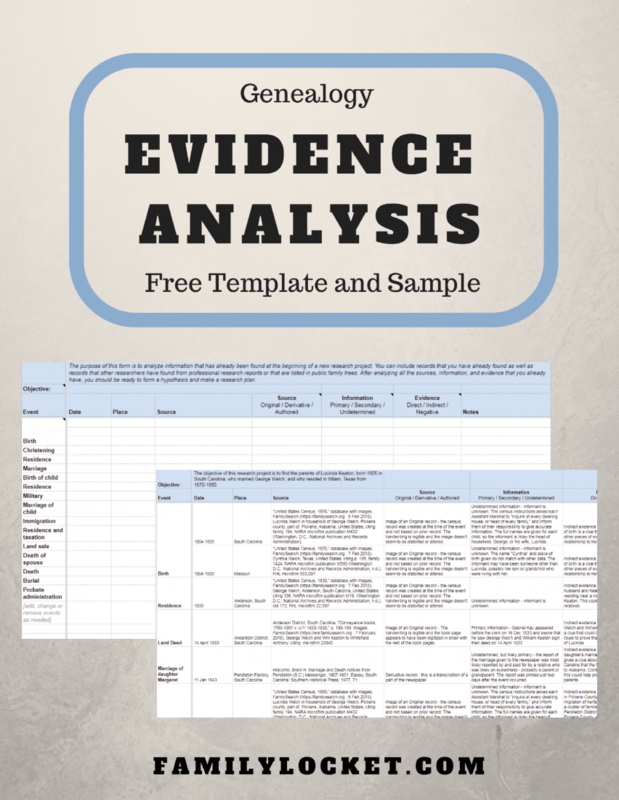 This template, and more, are available in our book Research Like a Pro: A Genealogist’s Guide.